Shot this buck on October 1, 2013 in Washington County. 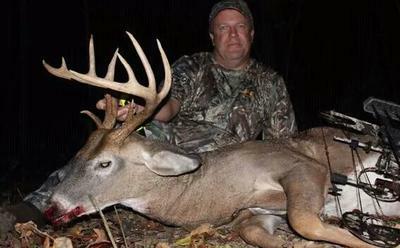 The buck Green scored 127-5/8 and weighed 174 pounds. My best bow buck to date.